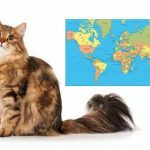 How long do Siberian cats live? In the wild, an average lifespan of a cat is about 4 to 5 years. As pets, cats tend to live much longer – anywhere from 10 to 20 years on average. Some cats live as long as 28 years! Siberian cats are a fairly healthy and sturdy breed. 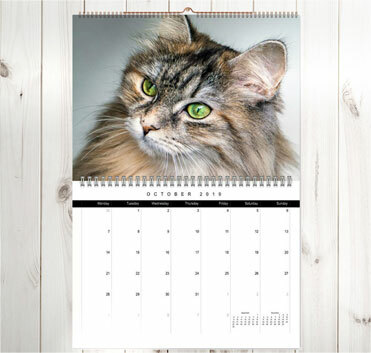 The average Siberian cat lifespan is from 10 years on the lowest to about 18 years. 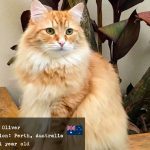 However, a Siberian cat lifespan really depends on many factors, including genetics, environmental factors, health, quality of care, whether your cat is obese or not and some others. 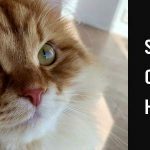 Here is what you can do to ensure your cat has as long a life as possible (and of course that the quality of its life is the best possible). Get your Siberian cat from the best breeder you can find. 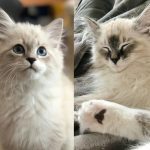 Good breeders do a great job screening their cats for health and genetic issues, and you can be sure their kittens are going to be healthy and without any genetic problems that will rare their heads somewhere down the road. 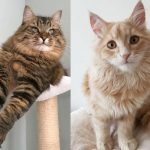 Siberian cats have a lot of hereditary diseases that can be quite grave and in many cases lethal – such as Hypertrophic Cardiomyopathy (HCM), Polycystic Kidney Disease (PKD), Feline Leukemia Virus (FeLV) and others. A kitten from a good breeder will be almost guaranteed not to have any of these diseases, thus sparing you a lot of heartaches and ensuring you and your kitty will be together for a long time. 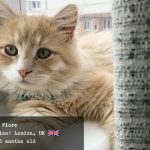 A good breeder will also give your kitten all the necessary vaccines and provide great care for the kittens first months of life so that no disease or injury can happen at that tender age. You can’t go wrong when you go with a good, conscientious breeder when it comes to getting a healthy, well-taken-care-of kitten. Read more about choosing your Siberian cat breeder here. Once the kitten is in your home, it’s your responsibility to take good care of it and pay attention to how they look and feel. If your kitten is running a high temperature, isn’t as active as usual, doesn’t have a good appetite or vomits, it’s your duty to take it to the vet to see if something is wrong. With a lot of diseases and conditions, it’s very important to spot them as early as possible to prevent further complications and nip the issue in the bud. A good vet will help rule out anything serious and create a plan to help your kitty overcome whatever may be happening to it. You may also think of getting pet insurance, although they are not always necessary. 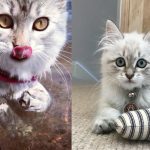 Siberian cats are a sturdy breed that doesn’t tend to break limbs or eat silly inedible things (which are both common reasons for cats ending up in surgery and costing a fortune to their owners). Food and Siberian cat lifespan. 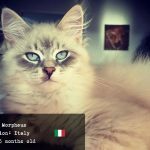 What to feed your Siberian for health and wellness? Choosing the right food for your cat is extremely important, and it’s never an easy question. Cat owners are bombarded with advertising from pet food companies claiming their food brand is best. How do you actually choose a brand and type of food that will be good for your cat and spare them from lots of potential diseases and conditions stemming from a poor diet? The first and most important thing you need to know is that cats are obligate carnivores. That means they can only eat and properly process meat (Which really is the only thing they do eat in the wild.) Cats cannot get enough nutrients, minerals, and vitamins they need from any other food! They also do not need carbohydrates in their diet, which negatively affect their health in several different ways. That means that any food based on or containing other ingredients such as grains, vegetables, corn, greens, fruit (!!! ), and any artificial ingredients is BAD for your cat. Whether it’s dry food or wet food, if it’s anything but meat, it’s not good for your cat. No matter what the pet food companies claim. Vegetables and “whole grains” are not good for your cat! Let alone fruit. Their digestive systems are simply not designed to process such food. Not only do cats not get any nutrition from those foods. Those types of ingredients, over the cat’s lifespan, can actually majorly damage the cat’s digestive (and other) systems and cause multiple health issues. You don’t want that for your kitty. You don’t want that for you, either, because vets do cost quite a bit. To sum up, avoid any commercial cat food that has anything in it but meat. Look for food where protein is listed as the main ingredient, and, generally, the fewer ingredients the food has, the better. Your cat food should not contain grains, such as wheat, rice, barley or anything else. Neither of those is good for cats and should not be consumed. Corn and soy are also a no-no. Those are not even that good for people, let alone cats. GMOs, artificial flavorings and colorings are also a red flag. Those ingredients are often used to make food look better/taste better, but nothing looks and tastes better for your cat than meat. And nothing is as healthy for them. Choose foods that have minimum artificial preservatives as well. The question of dry food vs wet food often comes up. I talk about it more in this article. Generally, dry food is not very good for cats. Cats don’t drink much in nature and get their moisture from the meat they eat. Dry foods tend to cause and exacerbate problems with kidneys, such as kidney disease, and urinary tract issues in cats. Dry food can also lead to diabetes, as it negatively effects cat’s sugar levels by making them spike, due to large amounts of carbohydrates which cat’s do not need. Contrary to popular opinion, dry foods do not help clean your cat’s teeth. Cats usually swallow kibbles (dry food) before they can properly chew it anyway. Our own cat sure does! Dry foods also have tons of additives and taste enhancers. Have you ever noticed that your cat seems to be addicted to dry food? Ours would run from a different part of the house if he only hears someone touch the box with his dry food (or any similar sounding package). That is because dry food has addictive enhancers in it that make its taste so attractive for cats. Addiction to food leads to obesity in cats, especially if the cat is free fed. Another question with food is whether to feed your Siberian raw or cooked food. Raw foods are definitely preferred (raw meat would be the best, as that’s the cat’s most natural food in the wild). 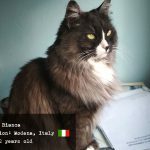 Of course, feeding your cat raw poses certain issues and difficulties in terms of hygiene, cost and whether you are up for dealing with raw meat in your house. It is up to you in the end. 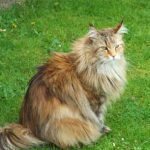 If you can stick to at least the main principles – meat-based diet, no dry food – you are already doing your Siberian cat a big favor! 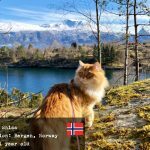 Read more about what to feed your Siberian cat here. Having extra weight, even a moderate amount of it will negatively impact your Siberian cat’s lifespan. Cats are natural athletes and should not be overweight under any circumstances. Siberian cats often look quite big, but that’s because they have dense fur and lots of muscle weight. Not fat. Often people think it’s OK that their cat is overweight or obese because “they are an old cat”. Just like with people, a sedentary lifestyle is not good for your cat. They are born hunters and athletes and need to be active to stay healthy. Kittens normally don’t have a problem with that – they are often too active. As the cat ages, they will slow down. 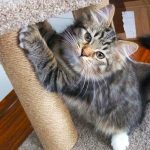 It’s your responsibility to make sure you provide your Siberian cat with play time to keep their levels of activity high, especially if they are the only cat in the house. Active lifestyle = health and well-being, for cats just as well as for people! 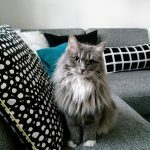 If you feed your Siberian cat good food, vaccinate them and keep them healthy and happy, you and your kitty will spend a lot of great years together!